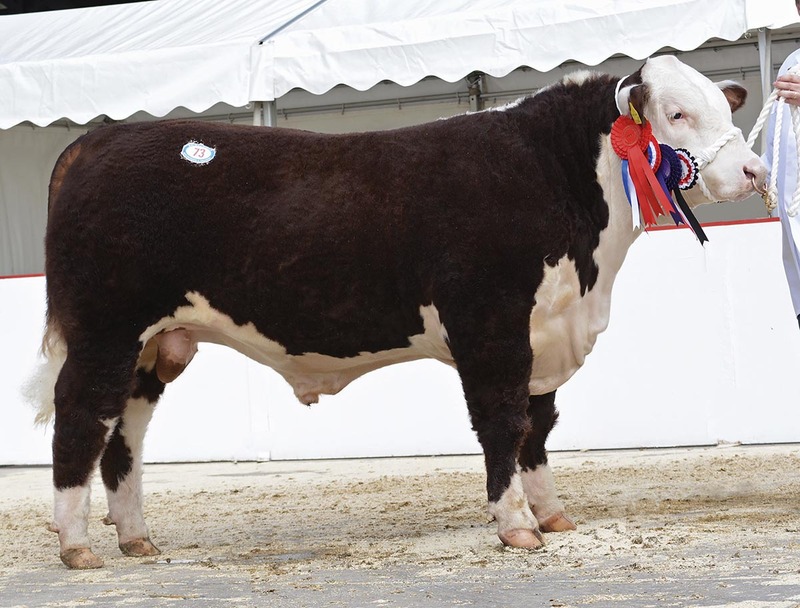 THE spring Hereford Cattle Society show and sale took place at Hereford mart, where bulls achieved a 75 per cent clearance rate. A north of England breeder headed the bids with the 25-month-old Barwise 1 Mach One. Weighing 935kg it came from Caroline Fletcher, Appleby-in-Westmorland, Cumbia. By Square-D Tortuga 953T, and out of Barwise 1 Anni-Fern, Mach One is ranked in the top 1 per cent for calving ease and retail beef yield. 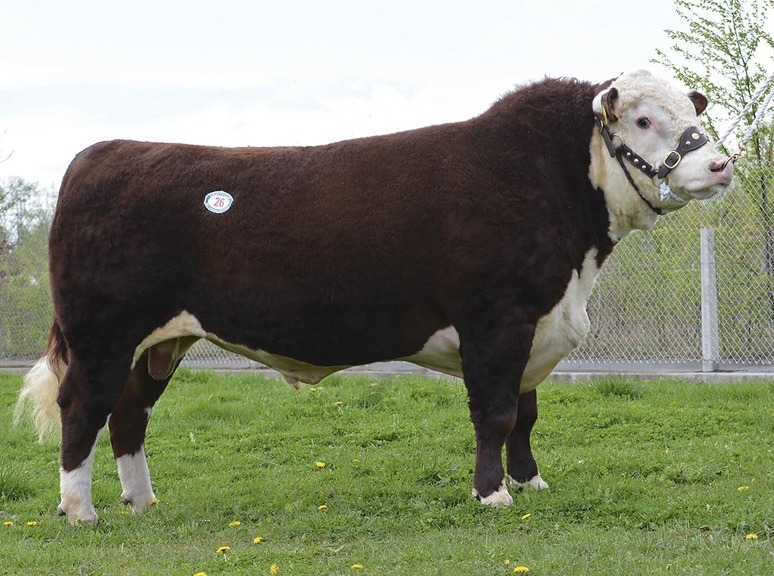 It sold to Speirs Farms, Bedfordshire, for a top price of 6,600gns. The champion junior and reserve overall male champion was the 12-month-old 645kg Moralee 1 Novak from T. and D. Harrison, Northumberland. A son of Cornriggs 1 Knight Rider and Richmount 1 Katie-Perry, it was knocked down to D.J. Deaville, Belper, for 6,000gns. The 26-month-old Fisher 1 Monarch M414 realised the same money. Bred by W.J. Hutchings and Sons, Chichester, it weighed 1,015kg and is by Fisher 1 Jaguar J347. It found a new home with M. Shaw, Shipston-on-Stour. Selling for 5,000gns to G. Blandford, Bosbury, was the reserve senior champion, the 23-month-old Danish bred bull SMH Liga 107L. Weighing 1,150kg it is by Barbern 1 Gargantuan and came from L.R. and A.M. Ayre, South Molton, Devon. The senior victor and eventual male champion was R.A. Bradstock and Partners, Tarrington, with the 24-month-old Free Town Mentor. Weighing 960kg, it is by Mara Humorous and was bought by the judge David Smyth, Co Down, for 4,600gns. In the female section, the entries achieved a 87 per cent clearance rate. The champion exhibit came in the form of 15-month-old the Pepperstock 1 Kingsley-sired Pepperstock 1 Butterfly N293 from Speirs Farms. It also topped the female trade, selling for 4,100gns to W. Shaw, Kirkby Moorside. 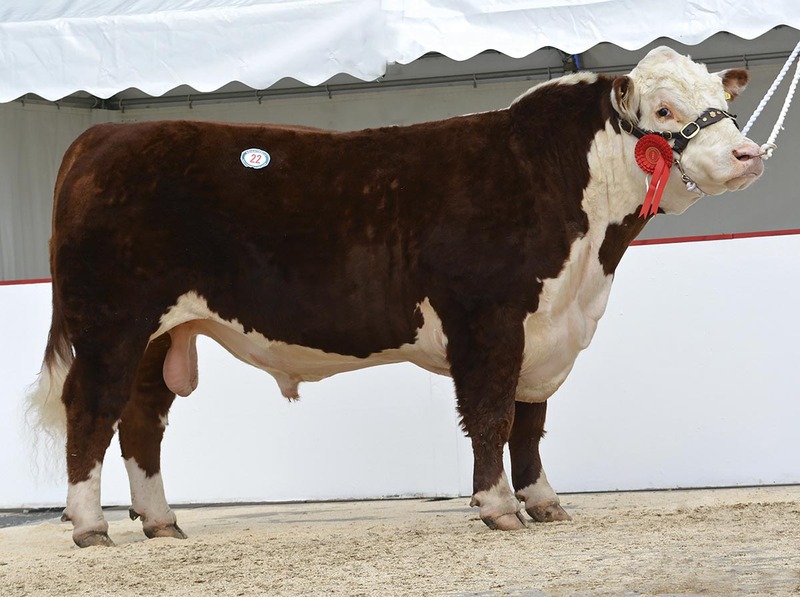 The 18-month-old Dendor 1 Anna Mary 32 stood reserve female and sold for the next best price of 3,500gns, for D.E., E.D. and A.L. Jones, Powys. The buyer of this SMH Euro 30E daughter was R. Williamson, Nantwich, Cheshire. A draft of heifers offered by E.R. and C.A. 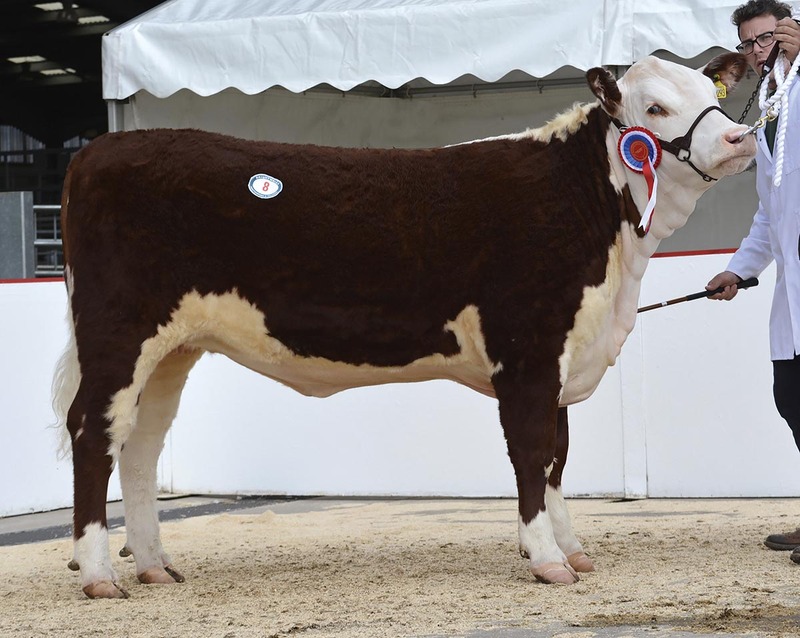 Kirby, Buxton, sold to a high of 1,800gns, paid by D. Watkins, Shropshire, for the 23-month-old heifer Tydesmoor 1 Minola. Fisher 1 Monarch sold for 6,000gns. Female champion Pepperstock 1 Butterfly N293 made 4,100gns. 32 bulls, £3,291.09; 12 heifers, £2,515.63; Kirby family heifers, £1,417.50. Moralee 1 Novak sold for 6,000gns.